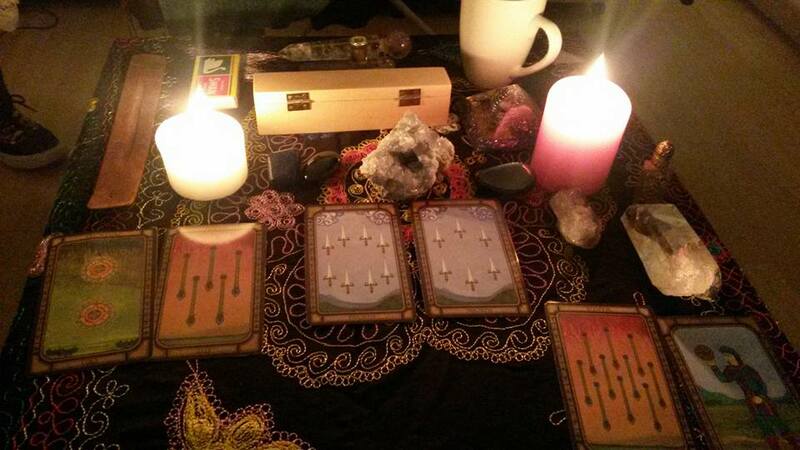 I absolutely love working with Tarot cards because I find them so precise in assessing your current vibration (energy) and where this information that you presently store will lead you further. They offer an amazing insight on where you stand and what is the highest probability to happen because of how the energy is displayed at the moment. It also give you insight on why you are where you are and what changes you can make to avoid an unwanted outcome. This combined with the psychic abilities I have will give you a great insight into whatever matter you wish find answers about. I do face to face readings, but also distance readings via Skype or e-mail. The face to face readings and Skype readings last 45 minutes and can be scheduled by emailing me at cristina@healingandmysticism.com. For E-mail readings, you need to choose a specific area of your life in which you want the reading, for example: relationships, career, travelling, etc. Readings about other people are recommended in this email version and you can send me their picture prior to the reading. You can ask up to 5 specific questions per e-mail reading. The cost for an e-mail reading is £40 and you can make the payment via PayPal at green_alien18@yahoo.com. Alternatively you can also book by clicking above and you can specify that you would like a written/email reading. The reading will be emailed to you within about one week from the purchase.